Thank you for submitting your questions to Dr Anthony Manning, author of Assessing EAP: Theory and practice in Assessment Literacy. In this post, he answers your questions and gives an insight into university-level language learning. What can I do to make sure I’m prepared for university as a non-native speaker? Studying through a second language is understandably challenging as it also often involves a major switch in linguistic register, in addition to the actual language itself. If your experience of using language has mainly been through popular culture or even through your school or university teacher, the chances are that your exposure won’t have involved the same level of subject-specific vocabulary or formal style that you will find at university. This is a key aim of Garnet’s ESAP series.In order to familiarise yourself with the challenge you are about to face, I would recommend starting to read textbooks or journal articles from your academic field to develop an understanding of the way language is used in the written form. In terms of the spoken word, there are many examples of academic lectures online. You may even find a lecture series linked to your own discipline or department within your university. For example, at the University of Kent there are more than 100 videos in the Think Kent series, which give an excellent overview of academic register in practice. 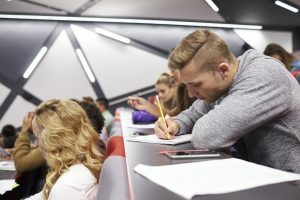 What do ESL learners commonly struggle with at university level? Language learning is strongly influenced by other factors such as personality and people’s motivation to learn. As a result, people face different challenges when they embark on university study in another language. Probably the biggest linguistic challenges centre on listening and note-taking in time-pressured environments, such as lectures. When it comes to academic writing, difficulties often emerge in terms of the register, or style of writing, which may vary in terms of grammar, vocabulary and formality to students’ experiences of using English in other situations. Additionally, understanding and avoiding plagiarism is vital for success in higher education, as your research is only valid if you have appropriately identified your sources, demonstrating how you have built your argument. To gain a head-start whilst coping with a new cultural environment, I would recommend being organised, managing your time effectively and trying to be as alert as possible in lectures and other classroom situations. These tactics will help you process presentations and discussions to the best of your abilities, and allow your academic language and skills learning the best possible chance. How do I make my note-taking more efficient and productive? One of the main challenges of learning in the university context is how you as a student can make the best use of the information and research presented to you in lectures. Success in this will allow you to explore a variety of views and take the information a step further in the process of forming an argument. Many universities now use lecture capture technology which allows you to review a lecture after it has been delivered live. However, this is time consuming, so the quality of your notes are still vital. One of the most effective methods for useful and reusable notes which capture the main details and themes of a lecture is to develop your own system of shorthand or symbols. In conjunction with this, it is important to ignore unnecessary information, so that you aren’t writing too quickly or getting behind on what you are listening to. There are different examples of shorthand in EAP textbooks, but in truth, you can use whatever symbols you like, provided that you are able to consistently follow what you have written later on. You can develop your own scheme by creating a glossary of symbols or abbreviations. If you stick to this, then after a few weeks you’ll find it gets easier and quicker to capture the most important points and to understand what you have written at the point of revision or reuse. How is language learning changing as we become more technologically minded? Advances in digital technology are enhancing communication in so many ways, and so it is only to be expected that there will be benefits and opportunities for language learning. Such opportunities might be found in the numerous apps and social media tools which help us to network for language exchange, or even through artificial intelligence which lets us practise our skills with an electronic interlocutor. There is also a wide range of software options on the market which can be used effectively in the classroom. Apps and software tools are likely to become more and more important in engaging younger learners, given the increased usage of smartphones and tablet computers. Although many experts would agree that the best way to learn a language is in an authentic setting, in close proximity to native speakers, our lives are increasingly busy. Luckily, electronic resources offer worthwhile alternatives for people to maximise the time and motivation that they have to facilitate international communication. 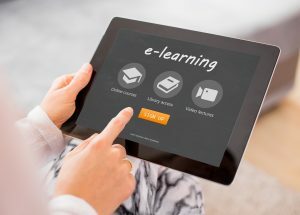 This same scenario is encouraging universities across the world to engage with online learning and MOOCs (Massive Online Open Courses) through organisations such as FutureLearn. Classroom-based learning may be ideal but isn’t practical or accessible to everyone who wants or needs to learn. We are also seeing developments in technology impacting on language assessment in many of the external tests we were familiar with in desk-based forms. As you can imagine, reliability is very important in assessment, and the research and technology behind these new systems shows that electronic mechanisms can be more consistent than humans in certain processes. Do you think language learning at university level is changing/ will change due to Brexit? Principled and research-informed language learning at university has always been in a state of evolution and flux. In many ways, language-teaching pedagogy is still led by learner-centred education, through diverse methodologies which immerse learners in situations that encourage second language acquisition. This is perhaps due to the inherent complexity and intangibility of language learning, brought about by the highly flexible nature of language usage itself. As a Modern Languages graduate, I can see that, since I embarked on my own University studies in the 1990s, institutions have continued to adjust their approaches in a number of ways- some of these changes due to methodological approaches and others to market forces. In the early 1990s the media perpetuated an enthusiasm for language learning. This was due to the 1992 goal to create a truly common market by removing trade barriers in what is now the EU. Since that period, the UK’s linguistic complacency and changes to the national school curriculum have not helped the ambitions of university language departments, irrespective of their commitment or methodological preferences. In some sad cases, this has led to the close of university language centres. In other situations, it has led to a diversification of facilities to include more varied provision, such as Institution-Wide Language Programmes and bolt-on language modules that can be added to other degree majors. During my career, I have been fortunate to be associated with institutions where languages have continued to thrive in traditional degree formats and more flexible modes of learning. It is evident that choice and multi-modal options continue to be important in maintaining and continuing to build engagement with university students and local communities. With regard to Brexit, universities, in conjunction with bodies like Universities UK, have been very vocal about the need for the UK to remain outward-looking and internationalised. As a result, I strongly believe that language learning will continue to be important to higher education and the sectors and businesses that still prize the important skills which language graduates bring. No doubt, ongoing promotion of these benefits to future generations and important outreach to schools will be required in order to advocate for the crucial nature of language learning. Dr Anthony Manning @UniKentDeanInt is Dean for Internationalisation at the University of Kent. His book, Assessing EAP: Theory and practice in Assessment Literacy, is one of the featured products on our website. It is structured with the aim of demystifying assessment and test design for educators who need to build and use EAP tests. In using the book, colleagues will find ways to extend their skills in different areas of assessment in EAP. Using the text in this way offers an opportunity to enhance ‘Assessment Literacy’, so that future tests can provide even better experiences and outcomes for the students who take them and the institutions that are required to interpret the results. He is one of the original creators of the TASK (Transferable Academic Skills Kit) series and remains one of the main authors of the second edition of this range of books. Also for Garnet, Anthony has written English for Language and Linguistics as part of the ESAP series. He has written a number of books and journal contributions for other publishers. He has delivered seminar papers at ALTE, IATEFL, InForm and BALEAP conferences on the subject of English for academic purposes, language assessment and academic skills development.